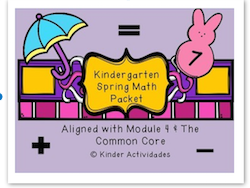 The Best of Teacher Entrepreneurs II: "Kindergarten Spring Math Packet: Module 4 & Common Core Aligned"
"Kindergarten Spring Math Packet: Module 4 & Common Core Aligned"
Ready for Spring? 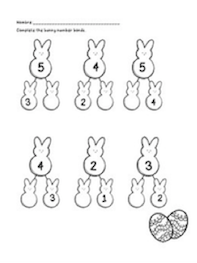 Visit my site for a Spring themed Kindergarten Math Packet. In our classroom we are currently working on Module 4: Number Pairs, Addition, and Subtraction to 10. This module primarily deals with the Common Core Standards K.OA.1-5. 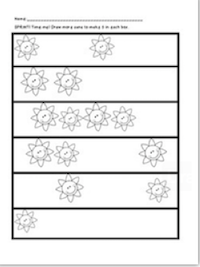 Fun, spring-themed, no prep worksheets to print and use immediately! Good for centers, tutoring, whole group, homework, substitutes, etc. Spring themed to last from March-June! 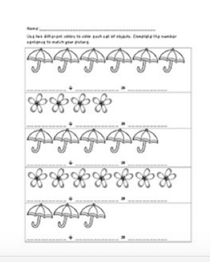 Over 20 pages of Kindergarten Common Core aligned Spring worksheets! Click HERE for the packet. Visit Kinder Actividades for more Kindergarten English and Spanish activities and worksheets!